What makes tek special for the PHP community? If you are new to php[tek], welcome! We want to explain this unique conference. php[tek] is an annual PHP & web technologies conference hosted by the creative minds behind php|architect magazine. 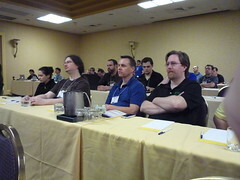 php|architect has organized numerous conferences since 2004, and php[tek] has occurred annually since 2006. You see, php[tek] is a PHP conference like no other: it brings together great technology content and great people and mixes them up in a wonderful cocktail of PHP fun. We like to think of php[tek] as a professional conference with a community flair. You will find a high-quality presentations by the brightest experts in the PHP world, coupled with a welcoming and friendly community of attendees and speakers. Meet and learn from fellow developers. Also at tek there are plenty of great opportunities for networking and talking shop with your fellow attendees and the speakers. At php[tek], you will find a familiar atmosphere that revolves around people, and not around business interests. Speakers, organizers, sponsors and attendees mingle and learn from each other as much in the “hallway track”, as in the sessions themselves. There are no exclusive parties or secret by-invitation-only rooms. We’re all in it together to learn, communicate and grow. We have a relaxed schedule during the day to ensure that you have plenty of time to absorb the material. Our speakers are approachable and you can get one-on-one time with them if you have questions. We have special events in the evenings; whether you want to continue hacking on PHP projects with your fellow attendees, unwind after a hard day of learning, or just join in for some fun. Our after-hours activities are a great add-on to the daytime events. For all the reasons above, tek is a unique conference experience not to be missed. 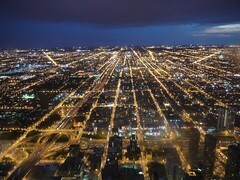 We hope to see you in Chicago this year, and when you are there, make sure you say hello and introduce yourself. We look forward to meeting you.